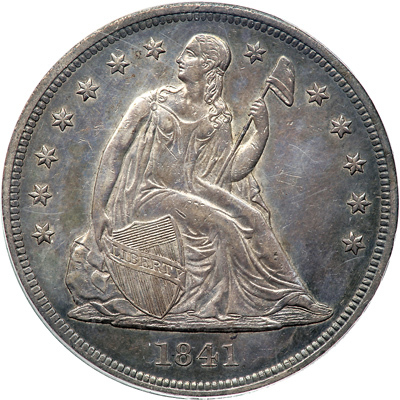 Like all early Seated dollars, the 1841 is very scarce in Mint State. However, the patient collector will eventually encountered examples in the MS61 to MS63 grades. 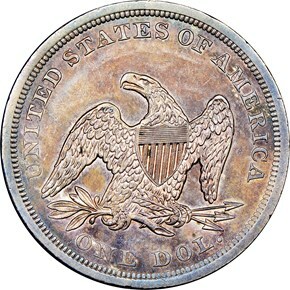 It is understandable why there are so few high grade 1841 dollars. 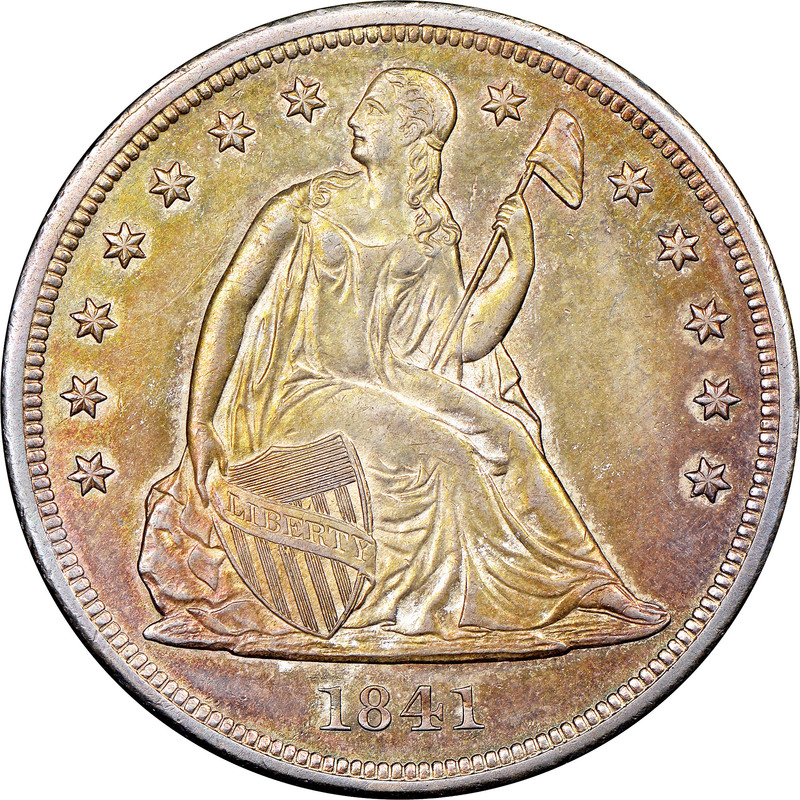 There were few if any devoted numismatists at the time. 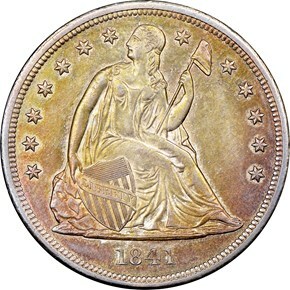 No collector organizations existed until shortly prior to the Civil War. 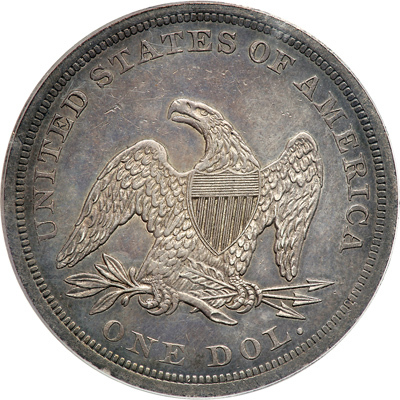 Occasional silver dollars may have been set aside for bank reserves, or as a store of wealth. Even then, the pieces were indifferently stored, since there was no collector value or interest.